Stamford Campus housing has a variety of living options available ranging from studio apartments to two bedroom apartments. 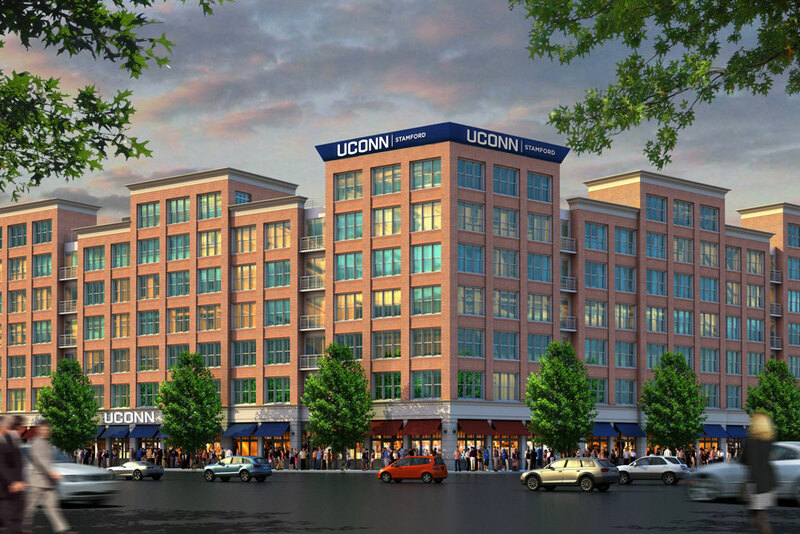 Stamford housing is currently offered at 900 Washington Blvd., 77 Prospect Street, and 65 Prospect Street. There are Hall Directors and Resident Assistants to offer students support. • Mailroom: First Floor of 900 Washington Blvd. Visit Stamford Summer Housing Information page for specific details about living on campus at Stamford this summer! The application will open on March 1 in MyHousing. * Residential Life will try to meet your rate preference but cannot guarantee it. All on-time returning student applicants will receive an update in February 2019 regarding housing eligibility so that they can plan accordingly. Notifications regarding housing eligibility will be sent to the UConn email account of the student. The roommate selection process will begin the week of March 25 and the room selection process will begin the week of April 1. More information about both processes will be available in late February. Newly admitted students to the Stamford campus for fall 2019 can submit housing applications starting February 1, 2019. Students who submit a housing application and have updated financial aid packages will be notified as early as mid-March of their fall housing eligibility. Floorplans for 900 Washington Blvd. and 65 Prospect are also available on our Floorplans webpage. Please note that this is the physical address for the building not the mailing address. Questions after reading this information can be sent to livingoncampus@uconn.edu. Please include your first/last name and 7 digit student ID number or NetID in your correspondence.